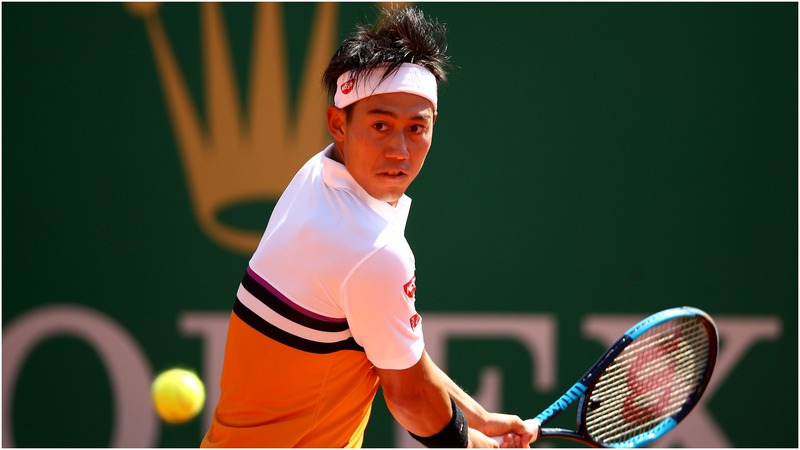 Rafael Nadal kicked off his bid for a 12th Monte Carlo Masters title with a win, but Kei Nishikori was dumped out on Wednesday. As with so many clay-court events, Nadal tends to dominate in Monte Carlo and it was no different as he defeated compatriot Roberto Bautista Agut 6-1 6-1 in a stunning performance. He is joined in the next stage by a number of notable stars, including Dominic Thiem, Alexander Zverev and Stefanos Tsitsipas, yet Nishikori is not among them. The fifth seed lost in straight sets to Pierre-Hugues Herbert in a shock result on Court Rainier III. Elsewhere, Fabio Fognini profited from Gilles Simon's retirement, while Daniil Medvedev and Cameron Norrie both also progressed. Nadal was imperious against Bautista Agut and he will play Grigor Dimitrov next, following the Bulgarian's win over Jan-Lennard Struff, but the world number two still sees room for improvement. "Particularly at the beginning of the clay court season, you are always looking at what you can add," he said. "I did what I had to do today - it was my first match on clay in almost a year. "I tried to play solid and tried to be dominant with my forehand when I had the chance. Then I had volleys a couple of times when I went to the net, which is good news because I had control." Thiem reached four clay-court finals last season and hinted at another challenge as he brushed aside Martin Klizan, taking 11 minutes to break in the opening game but then winning 6-1 6-4. Zverev, another big name, found life easier than many would have expected against Miami Open semi-finalist Felix Auger Aliassime, recovering from a break in the second set to triumph 6-1 6-4. Greek prospect Tsitsipas will be keen to contend on the big stage again and defeated Mikhail Kukushkin in straight sets. This was a frustrating day for Japanese star Nishikori, who failed to capitalise on any of his 10 break points opportunities in a 7-5 6-4 reverse. Herbert said: "I'm very happy for this victory, but we shouldn't exaggerate: I had 10 break points that I had to save. It was tricky, because it wouldn't have taken much for him to take the advantage." There were surprising results elsewhere, too, with Taylor Fritz setting up a meeting with Novak Djokovic by beating Diego Schwartzman in straight sets. David Goffin was upset by Dusan Lajovic.